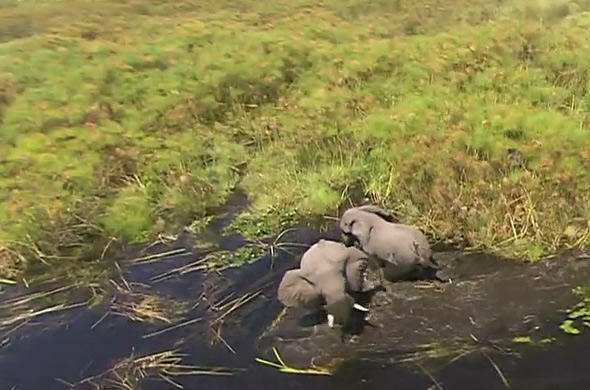 The flooding of the Okavango Delta in Botswana is truly an exceptional happening and is an experience that will never be forgotten by those who witness it. To experience the miracle of nature that is the flooding of the Okavango Delta once in a lifetime is truly a special privilege, but to have lived in the Delta and been part of this unique phenomenon for more than twelve years, and been part of it in different areas of the Okavango is life changing. Sitting down to write about my experiences of the Okavango over the years I realise how inappropriate any words would be, but instead I will share the experiences through journal entries at the time. 'Mid Afternoon, June 12: The water has changed course away from the floodplain in front of the camp and now seems to be moving away, unlike last year when it flooded in front of the camp. Initial disappointment turned to expectation when I realised that the flood would still reach camp, only this year from a different direction. 'Dawn, June 13: I was awakened this morning by a cacophony of noise and stumbling out of bed I looked out the mosquito net and saw the shimmering of water spreading out on the floodplain. The water was here, moving slowly over the dry floodplain. It was still very early but already a multitude of birds were following the water, feeding on insects and other creatures that the water disturbed into flight. 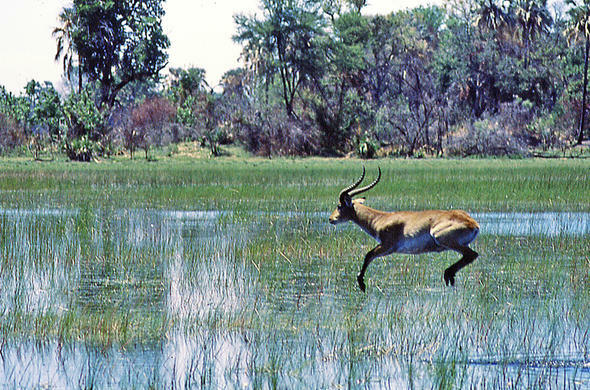 Midday, June 13: The water has almost covered the floodplain in front of camp, the birds are still feasting and some Lechwe have moved in to stake out their territories. It has been the most incredible five hours I have ever witnessed. The guests did not want to go out on the morning drive, instead we all sat in awe at the spectacle in front of us'. And then the water may arrive unexpectedly during the night and in the morning you are surrounded by water and the day is filled with the sound of aquatic creatures.